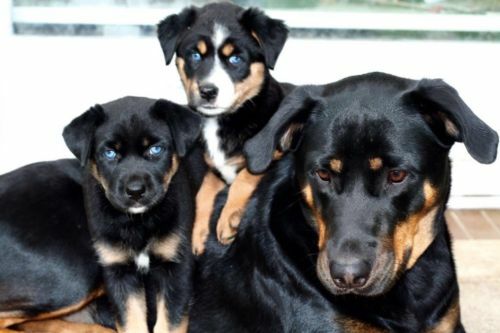 You are here: Home / Dogs / The 5 Cutest Rottweiler Mix Breeds You Need to See! Are you looking for the unbelievable cute Rottweiler mix breeds? I’m sure a lot of you are curious to know what the best Rottweiler mix is and how to care for it. 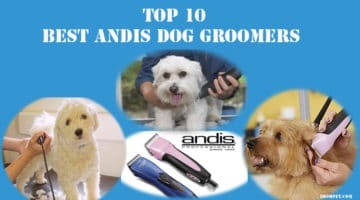 If you want to know more about what other dog breeds are best to combine with the ever-loving yet robust Rottweiler, then read on as I show you some of the cutest ones! The German Shepherd Rottweiler Mix is a designer breed. They don’t have an exact temperament, as it would depend on the parent breeds. Both breeds are known to be aggressive, though only when their handler is equally as strict or aggressive. 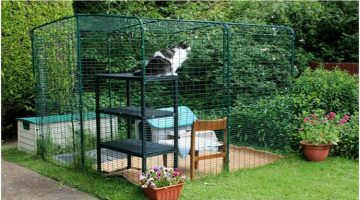 As both breeds are trained to be guard dogs, they are protective and highly intelligent. 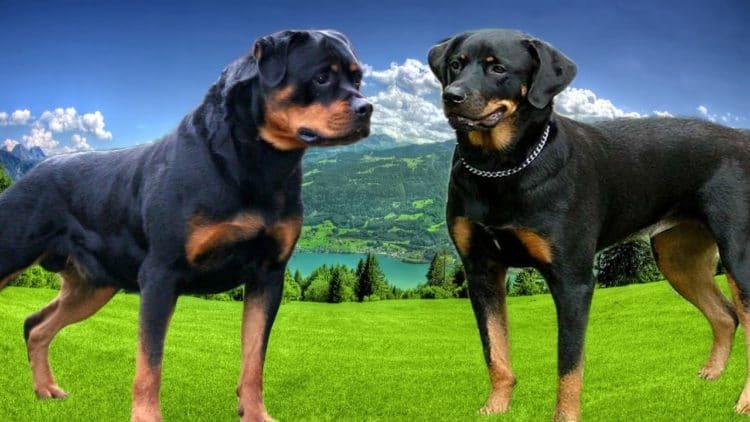 Expect these Rottweiler mix breeds to have a large frame! They can weigh between 77 to 115 pounds and can grow up to 27 inches tall. Their appearance may be a bit difficult to predict, as they can inherit different traits of their parents. They will most likely have a thick coat and may have either the mahogany or black face their parents have. This is another charming breed because both the Golden Retriever and Rottweiler have a large body but different characteristics! Usually, this mix breed would have the body and furry coat of a Golden Retriever, but with the color of the Rottweiler. Sometimes, they have shorter hair and have the facial features of a Golden Retriever. 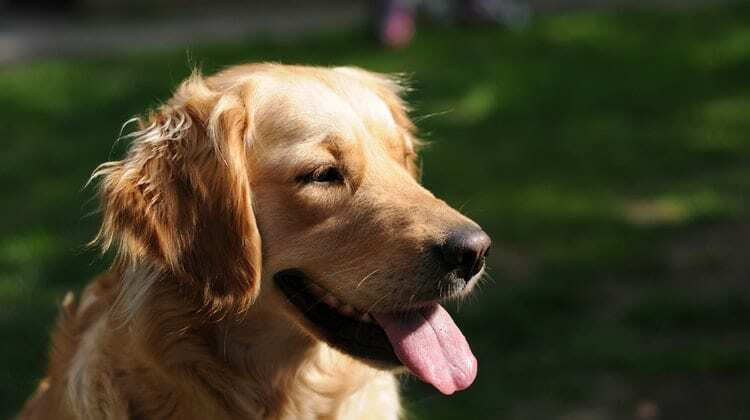 They usually pick up on the Golden Retriever’s loyal and upbeat attitude, making them a sweet family dog. Another plus is that this mix breed is extremely energetic! This is a perfect choice for families who love to play and exercise. 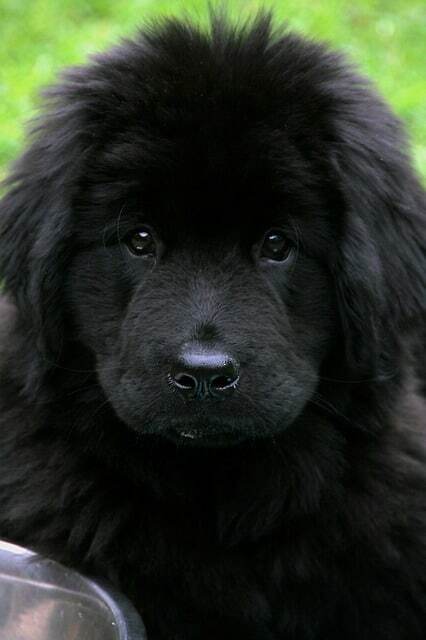 Now, this is one of the cutest Rottweiler mix breeds out there! The Rottsky doesn’t go far from the usual appearance of the Rottweiler, though it has the most beautiful blue, full eyes of a husky and is fluffier than the typical Rottweiler. It also has a slightly longer muzzle and the endearing partially-flopped ears. Just like the Rottweiler and German Shepherd mix, they can get quite large. The mix breed can grow as tall as 26 inches and reach up to 100 pounds! There is no huge personality difference between the two parent breeds. Both of them are loyal, independent, intelligent, and sociable dogs. The mix breed can adopt all these traits, begin wary of strangers and make excellent watchdogs. One distinct characteristic of the New Rottland would be their coat. Usually, they have a black coat with a bit of white on their chests. They also have a medium-length coat and huge feet! Similar to the New Rottland, they make excellent family dogs because of the parents’ sweet and loving temperament. Though they may not look or sound like the sweetest because of their large frame, you’ll love them either way. 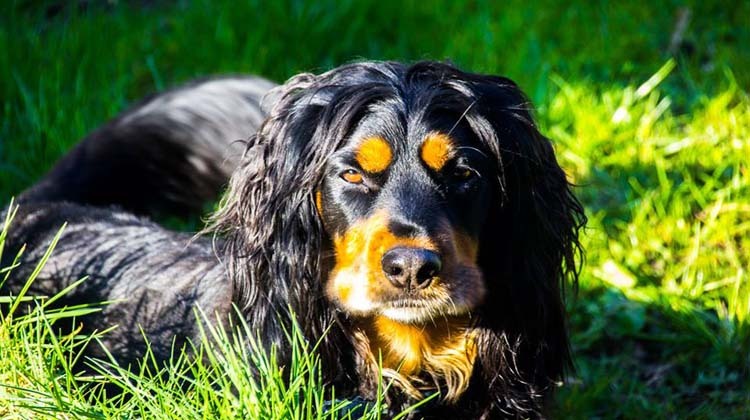 You’ll be surprised that a Cocker Spaniel and Rottweiler can breed, but it’s entirely possible. And the results are an adorable sight! They will usually have the small and long, furry body of the Spaniel, with the black and rust markings of the Rottweiler. Sometimes, it can be the complete opposite! Cocker Spaniels, like the Rottweiler, are also known to be ordinarily aggressive, though this would depend on how they are raised. As long as they are loved and in a good environment, they will grow to be a trustworthy companion. There you have it! These excellent Rottweiler mix breeds aren’t only cute to look at, but enjoyable to own. So if you’re looking for a good dog to breed with your Rottweiler or want to own a mix, then check any of these fur babies out today! I hope you enjoyed this article on my five favorite mix breeds of the Rottweiler. If you have any questions or would like to share your Rottweiler mix breed puppy or dog, then comment down below! I would love to hear what you have to think.